Gaana, JioSaavn slash prices for the annual subscription to compete with Spotify, YouTube Music: Both JioSaavn and Gaana have reduced the price of their annual subscription by 70 per cent. The annual subscription of JioSaavn is now available at a cost of Rs 299 instead of Rs 999 while on the other hand, the annual subscription of Gaana is available at a cost of Rs 298 instead of its original price of Rs 1,098. Gaana, JioSaavn slash prices for the annual subscription to compete with Spotify, YouTube Music: The Music streaming industry of India has witnessed the entry of many major players in the game including YouTube Music and Spotify. The domestic music streaming apps like Gaana and JioSaavn are facing a very tough competition due to these global music streaming apps. 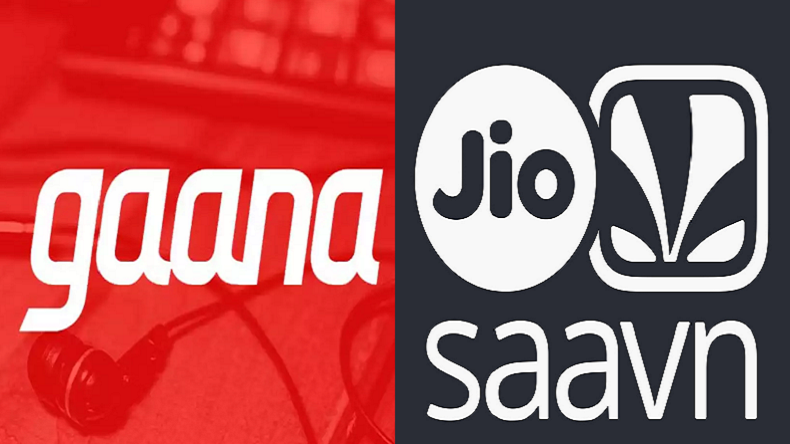 In order to sustain in the market and compete with the global players, both Gaana and JioSaavn have reduced the rates of their annual subscription. The annual subscription of JioSaavn is now available at a cost of Rs 299 instead of Rs 999 while on the other hand, the annual subscription of Gaana is available at a cost of Rs 298 instead of its original price of Rs 1,098. In addition to all the price reduction, Gaana is also offering the annual subscription to students for a price of Rs 149. The discounted price of the subscription will be effective immediately. Spotify’s annual subscription is available at a price of Rs 1,198 and the monthly subscription of Youtube Music is available at a price of Rs 99. The subscription rates of both Spotify and YouTube Music are way higher than the subscriptions provided by Gaana and JioSaavn which is surely going to affect the market of both the major global players of music streaming in India. One of the major facts is that domestic music streaming apps have only altered their annual plans in order to lure customers and engage them for a long time. Technically, both the domestic streaming apps including Gaana and JioSaavn are free to use. However, the premium versions of both the music streaming apps make the user experience ad-free content, downloading the content for offline streaming and much more. Spotify and YouTube Music are the latest players in the Indian music streaming industry. Youtube Music allows the user to stream music and watch original content for free for a tenure of three months while Spotify allows the user to stream music for one month without any charges. Some Key players like Apple Music and Amazon Play Music have not made any changes in their subscription rates.